You went to the ball. You got your picture taken but have decided that you love this image of you and want to get the high resolution. You will email us your image and we will email you your high resolution image after we receive your payment. Tax will be included and a small handling charge. If you want us to send you the physical 5x7 laminated image in a black folder place (2) in the amount and enclose the address we are to ship to. You are purchasing the High Resolution jpg. 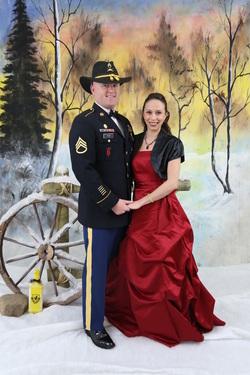 of the image we photographed of you at the Military Ball.